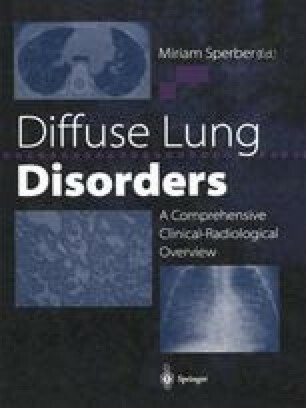 Lung infections are one of the causes of diffuse pulmonary disease. Although they account for only a small percentage of the total number of patients, they are important for two reasons. First, they may not be considered by the physician when dealing with a patient with diffuse pulmonary disease, a fact that could result in delayed diagnosis. Secondly, these infections are among the few diffuse pulmonary diseases having a specific treatment, thus most patients can be treated and cured with no sequelae of any kind.